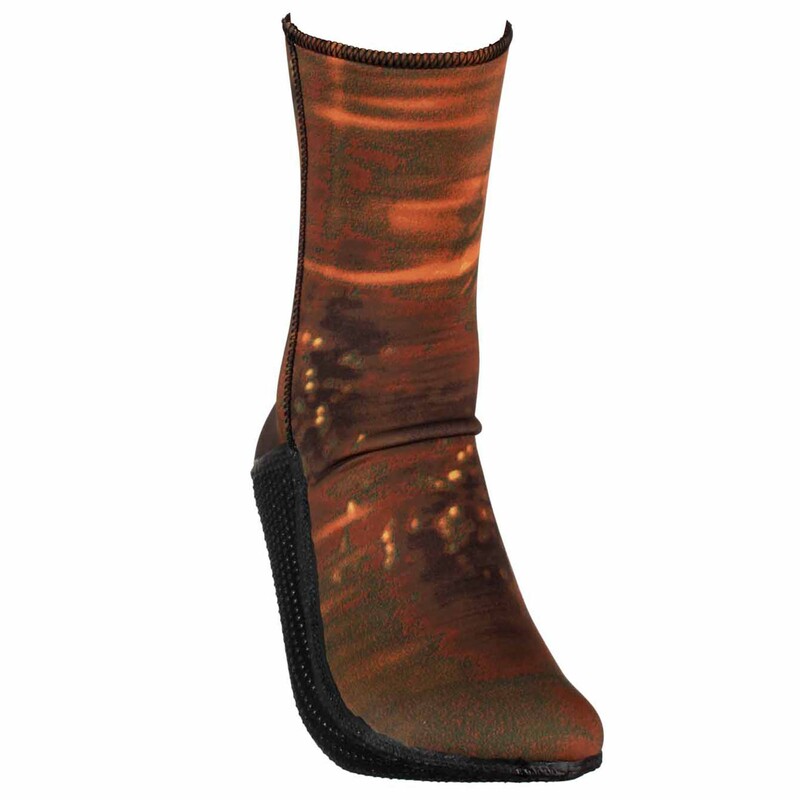 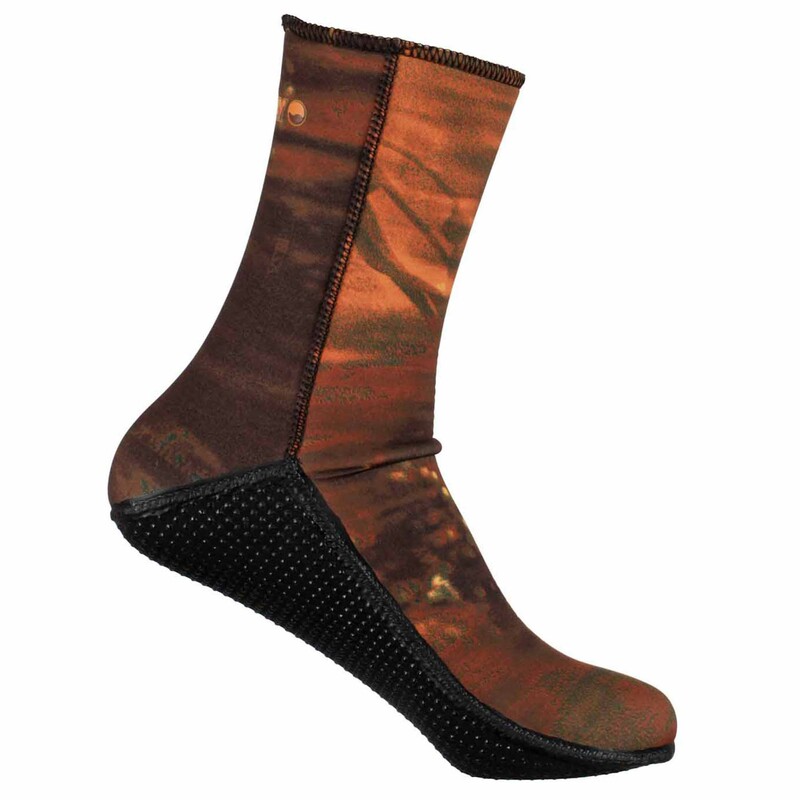 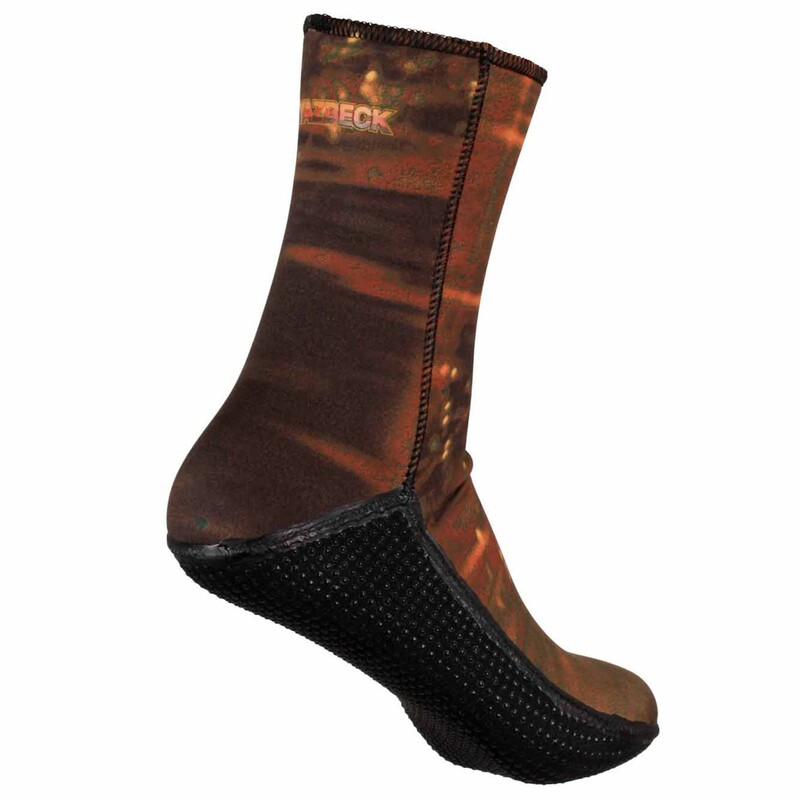 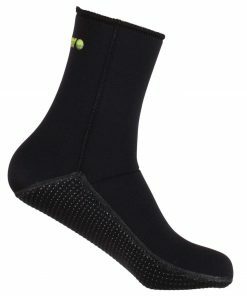 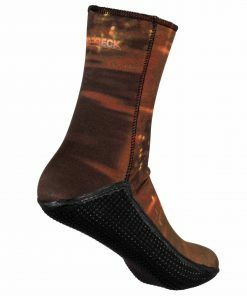 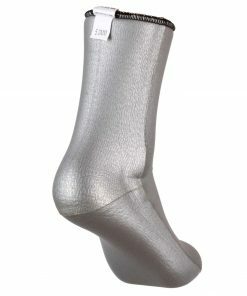 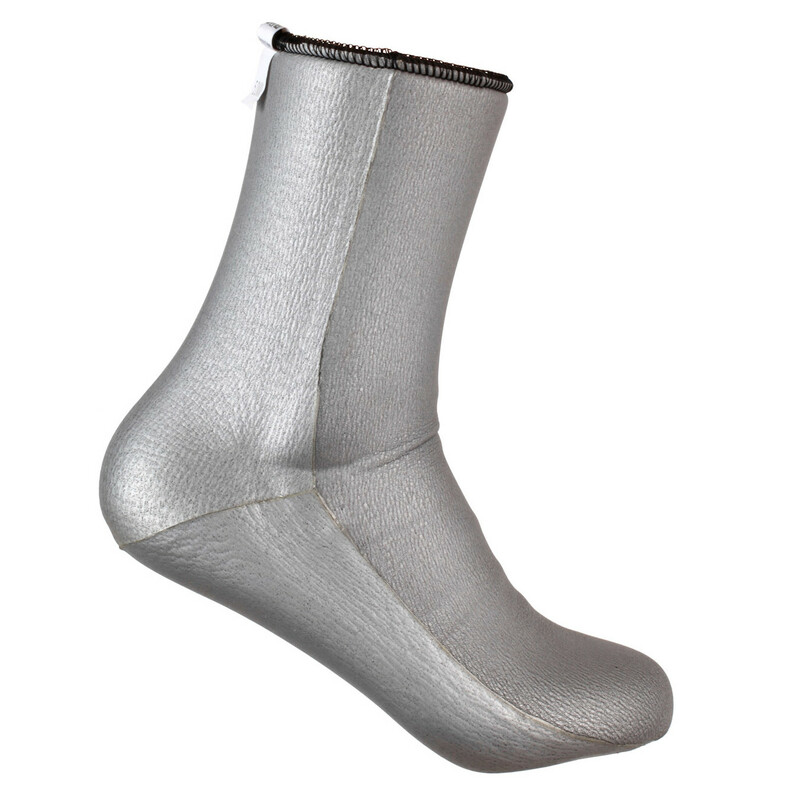 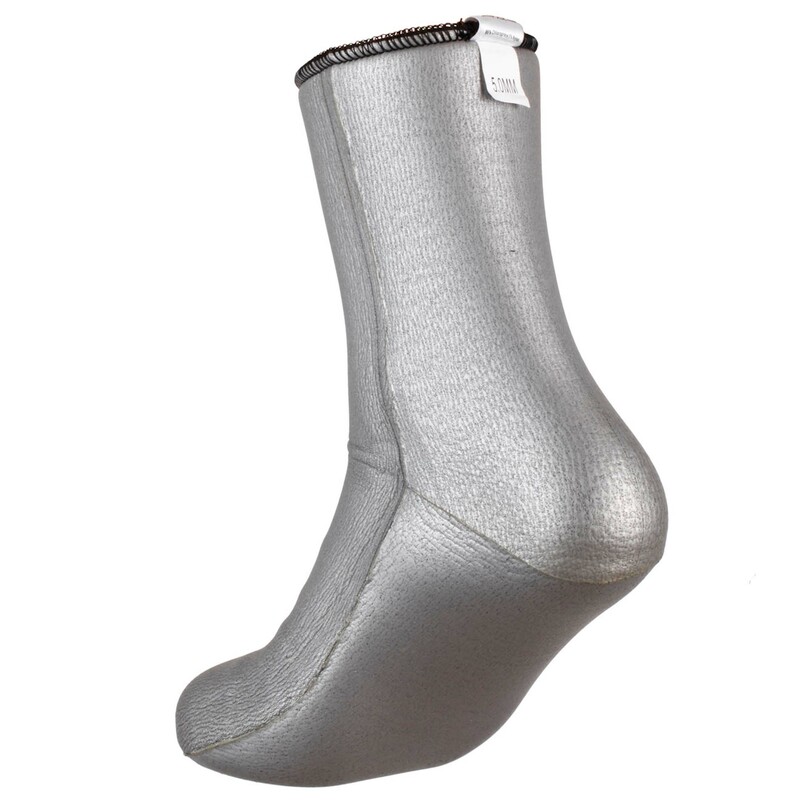 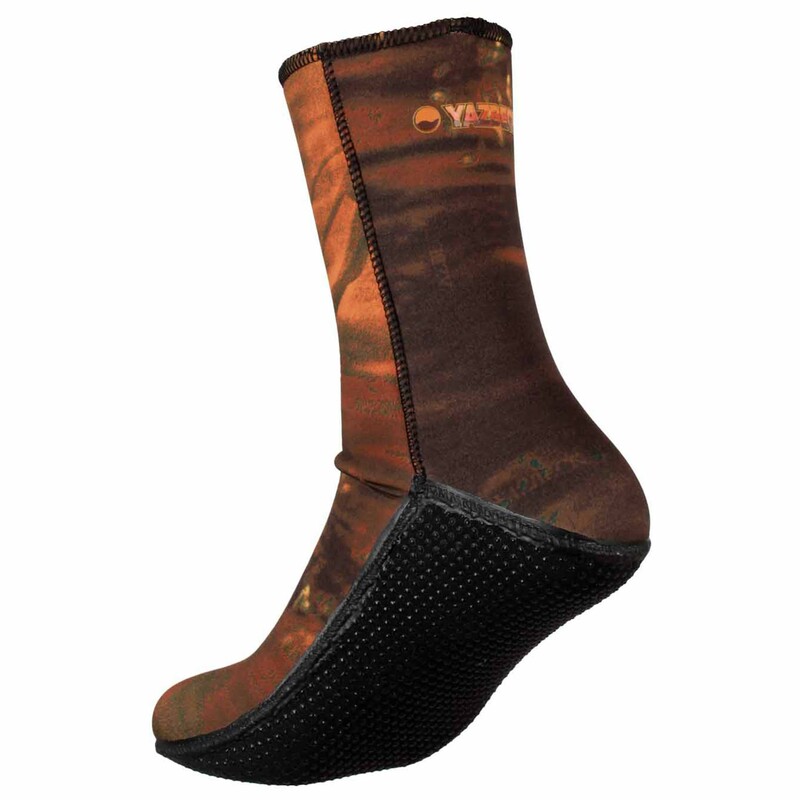 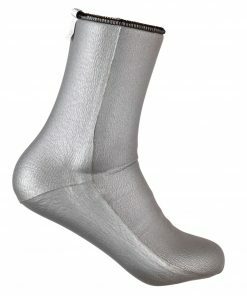 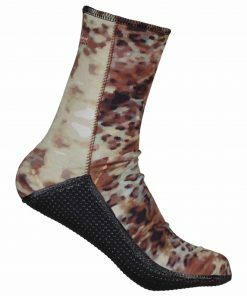 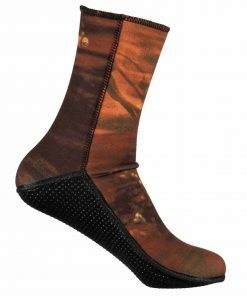 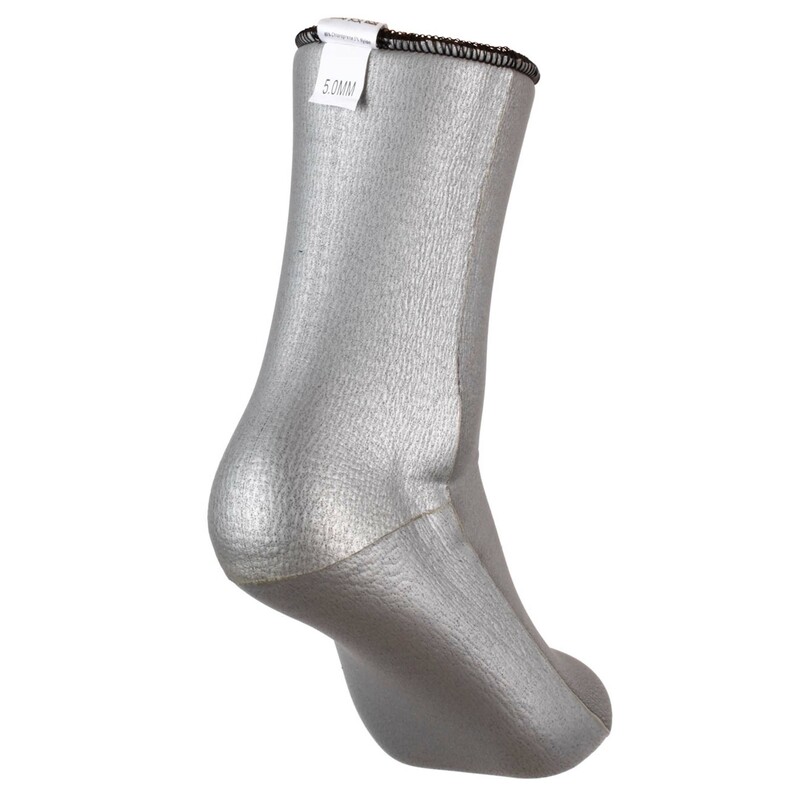 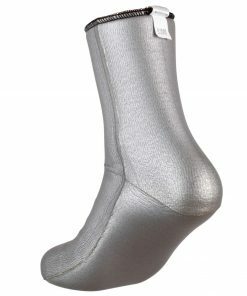 These Thermoflex socks from the Kelpstalker family come in 3.0mm and are lined with Silver Titanium. 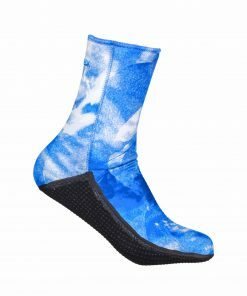 At 3.0mm thickness, not only will they keep your feet snug and warm in the coldest waters, but they will also give you more than enough cushioning protection for your toes constantly squeezing against the top of the fin foot pocket as you kick your fins for long hours in the water. 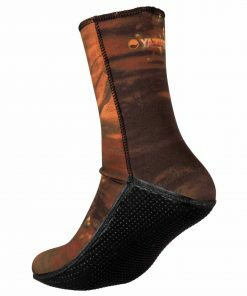 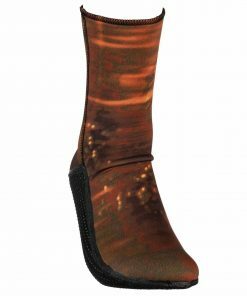 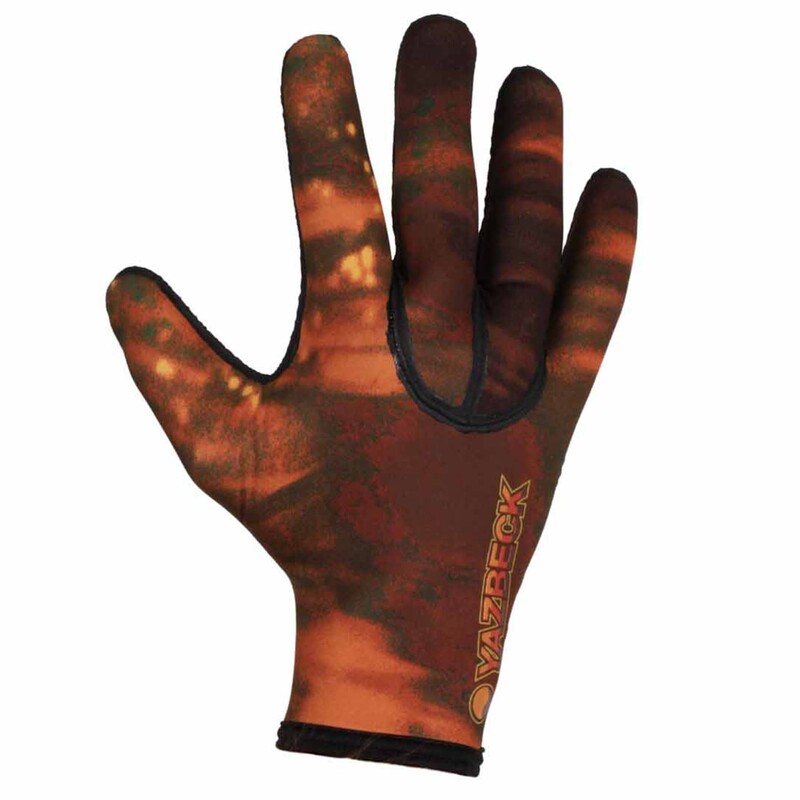 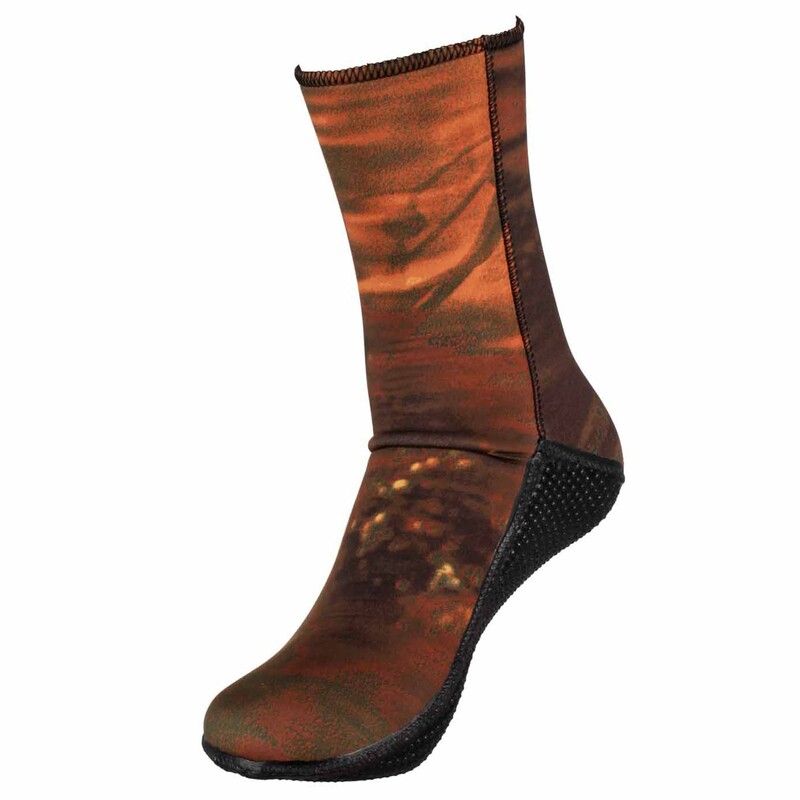 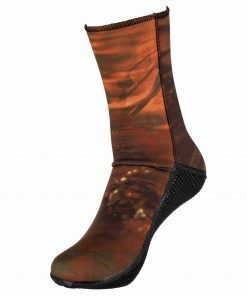 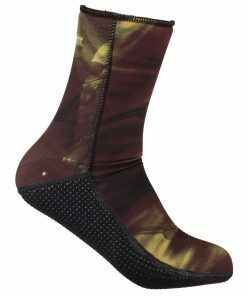 Made of Yamamoto Grade 39, 3.0mm thick 100% CR Neoprene, the Yazbeck Kelpstalker Thermo Flex 3.0mm Socks are laminated with Impermeaflex™ Kelpastalker Camo dye and a perfect matching complement with the Yazbeck Kelpstalker Wetsuit. 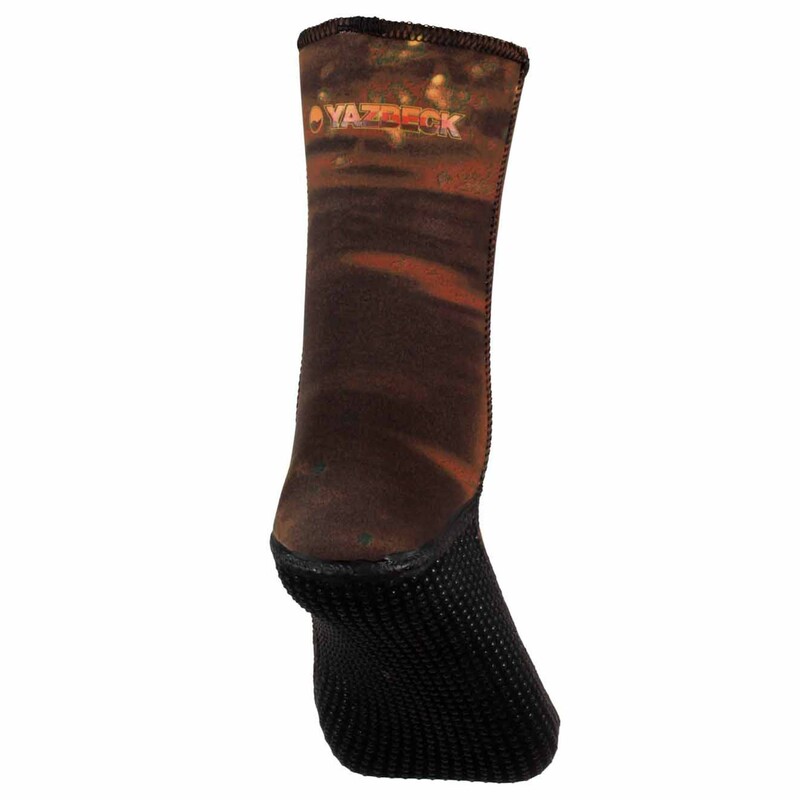 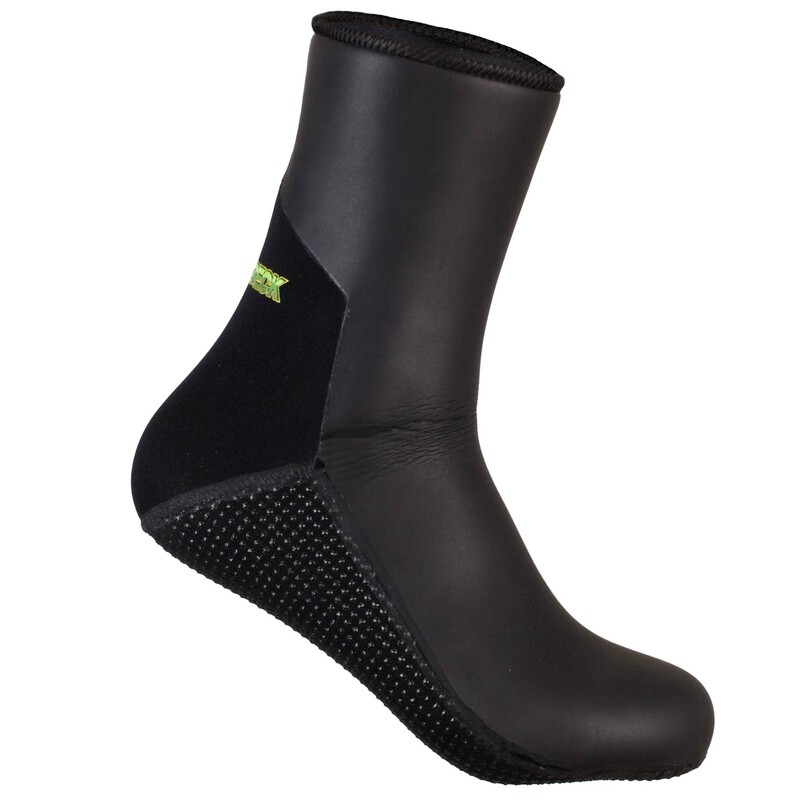 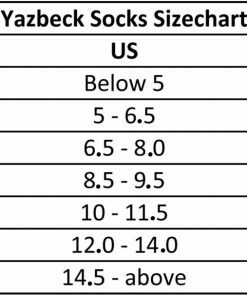 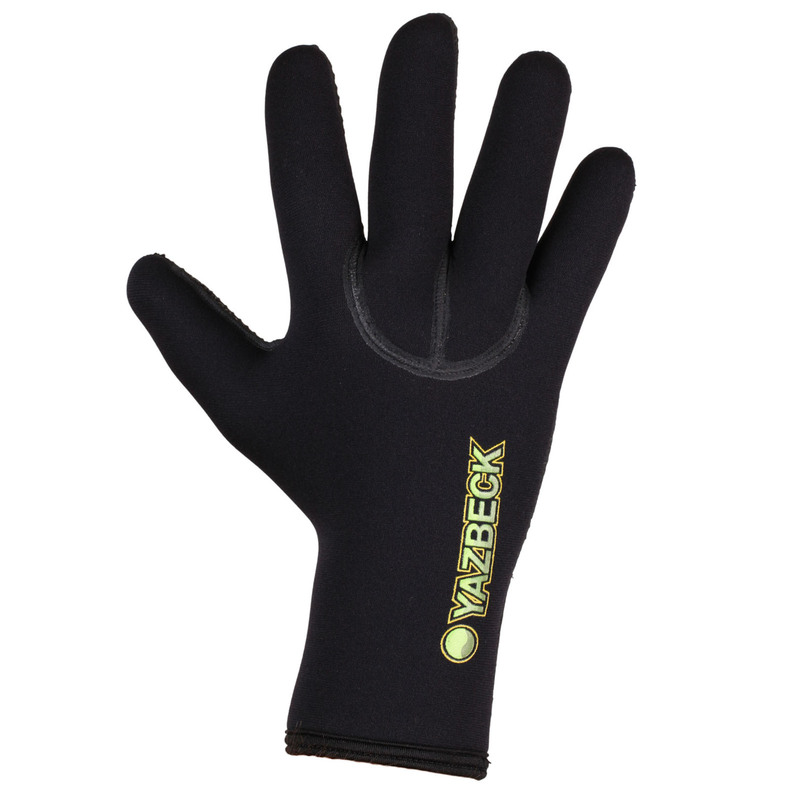 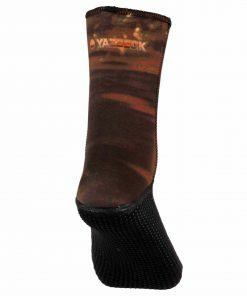 These outstanding Yazbeck Kelpstalker Thermoflex 3.0mm Neoprene Diving Socks were designed and manufactured by Roger Yazbeck, using the best combination of prime materials.